Higher education often begins with a three-year bachelor’s degree. Postgraduate degrees include master’s degrees, 1-2 years and either taught or by research, and the doctorate, a research degree that usually takes at least three years. International students generally study from Level 4 (approximately 1st year University) through to Level 8 (PhD). A spouse /dependants visa is available for study from Level 7. Undergraduate: For academic subjects, you will need a senior high school certificate. For vocational (i.e. career based) subjects, professional qualifications and relevant work experience will also be considered. You will also need a minimum English level equivalent to IELTS 6.0 or a Cambridge Advanced Certificate (CAE). If your qualifications from your own country are not sufficient for direct entry to university, you can bridge the gap by taking A levels or a University Foundation Course. University Foundation Courses are also known as University Foundation Programmes or International Foundation Years. They take less than a year to complete and enable successful students to progress to a university degree course. Some programmes provide guaranteed entry on successful completion. Students study a range of topics and skills related to the subject they want to take at university (e.g. computing, business, engineering etc.). Foundation courses are often assessed on course work rather than exams. However, you will only be able to study at one of the universities that recognises the foundation course you take. You are allowed to work while studying if you study at a university or college that is listed on both the official UKVI Sponsor listand the list of ‘recognised bodies’. International students who study a full-time undergraduate or postgraduate degree course at a recognised university are allowed to work part-time during term term for up to 20 hours a week and full-time during the holidays. 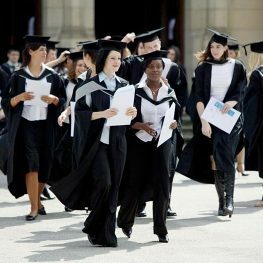 Non-EU students who wish to remain in the UK after they have graduated must apply for a work visa from UK Visa and Immigration. Tier 2 (General) Visa is the primary visa to remain and work in the UK after your studies and you must apply with a Job Offer within 60 days of course completion and the job must meet minimum salary criteria (minimum £20,800). Tier 2 Visa is for 3 years and extendable.